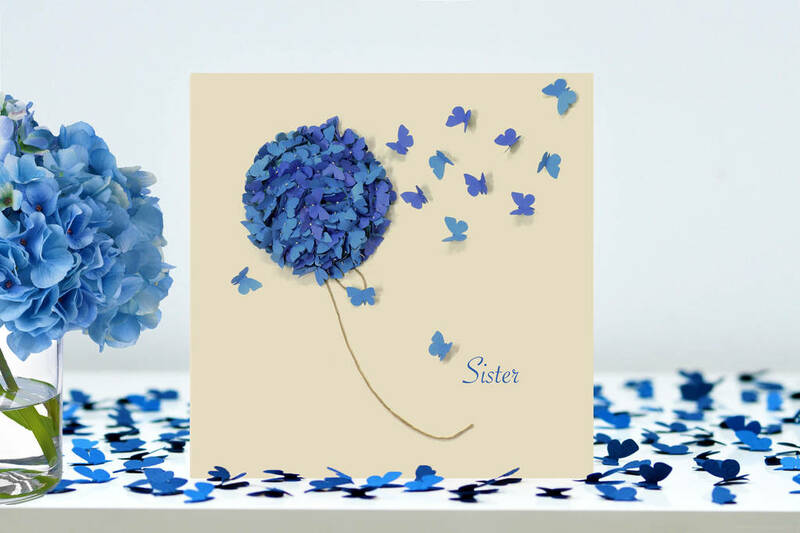 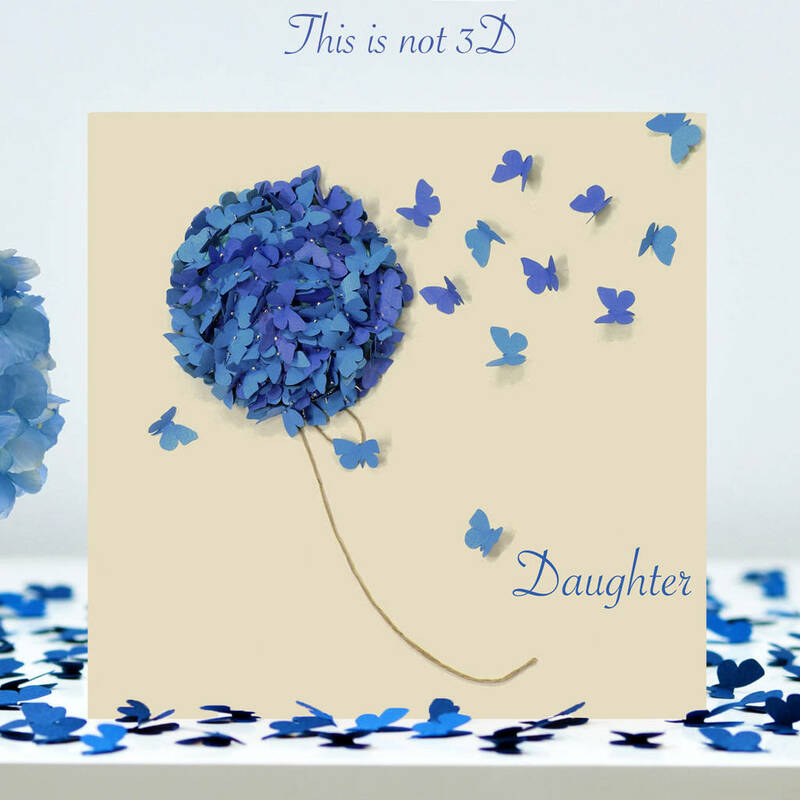 Send this beautiful digitally printed (NOT 3D) butterfly 'On Mothering Sunday' blue hydrangea card to your Mum. 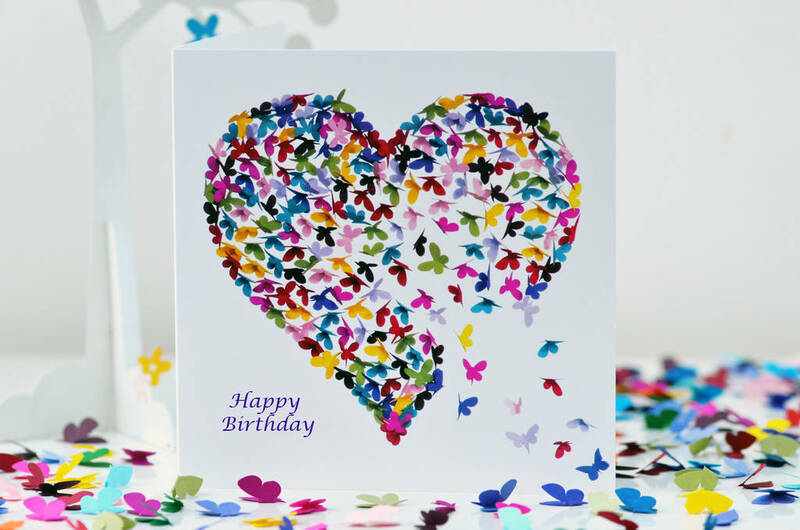 Each butterfly represent love. 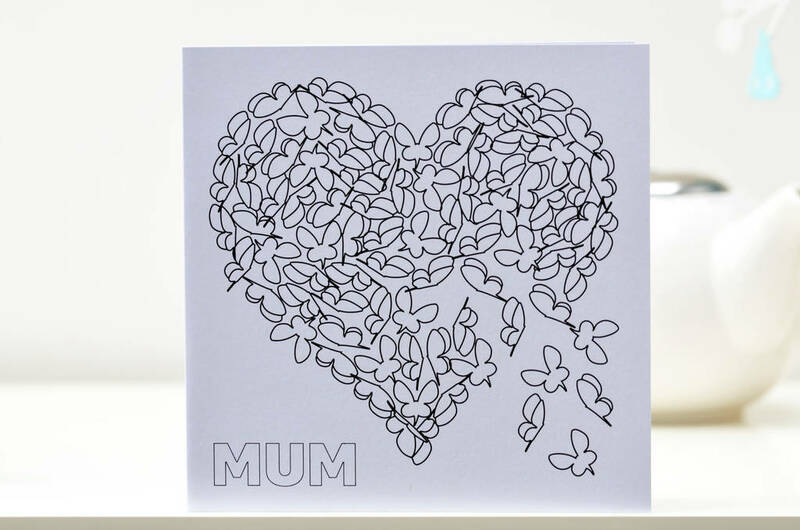 What a lovely mum card to send on Mothering Sunday. All the butterflies represent love and this message is printed on the back of the card. it's blank inside. It is a digitally printed image of my large original wall art I was commissioned to make for Trebah Garden, Cornwall. 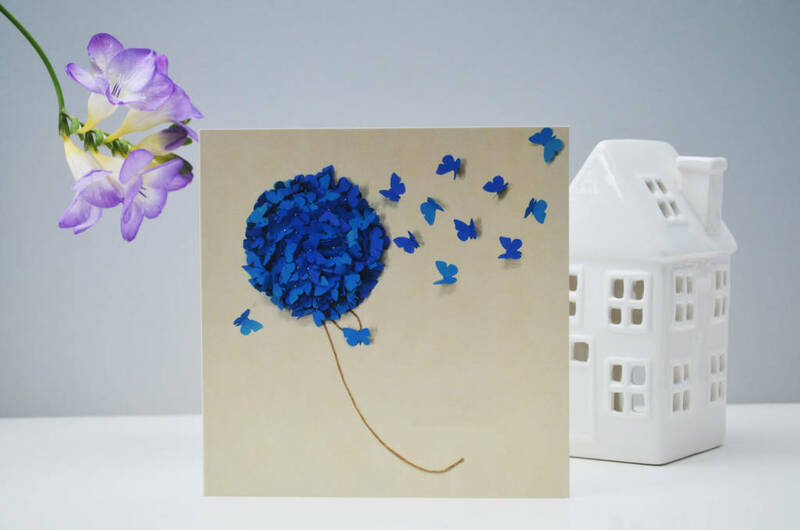 I design my butterfly art and cards in my studio in Cornwall. Inkywool belongs to the Made In Cornwall scheme.